We offer Centrifugal Oil Filters for the filtration of oil of Wire Drawing Machines. Item Code: CK600We are engaged in offering Centrifugal Oil Filter (CK600). CK 600 centrifuge filter is used for tank capacities from 1000 liters to 4000 liters. It can separate the finest particles up to 1 micron from the oil. 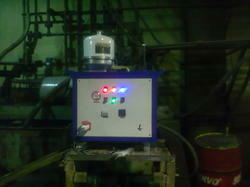 It is available without cut off valve (C.O.V) setting. Looking for Oil Cleaning System ?